Specialized in ACTORS’ HEADSHOTS for 35 years -in Los Angeles, New York, Las Vegas & Tokyo. 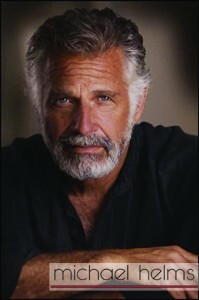 Jonathan Goldsmith – AKA The Most Interesing man in the world – booked a commercial by submitting his theatrical shot to a commercial audition. Shoot, see your photos on a computer monitor, get them retouched, and walk out with them all in the same day. Get photos that get YOU work as an actor. Don’t waste your time on photos that don’t market you correctly. Shoot with a pro. Time is money. If you are just starting out – a Commercial and Theatrical shot are all you need. A Theatrical head shot is usually more serious. It will be used to get you a Theatrical agent and for display when you work in the theatre. It can also be used on IMDB and any other web site where your photos and bio appear. A Commercial head shot is usually smiling . It will be used to get you a Commercial agent and also for displa y on IMDB or any other web site where your photos and bio appear. Once you get an agent and start to audition, you will know what type of characters you generally are cast as or what your “type” might be. Then you can add more “looks” to your portfolio. If you are a model – or want to be a model – you will need a good head shot, a couple of full length or “body” shots, and perhaps a couple of “lifestyle” or commercial print type images. 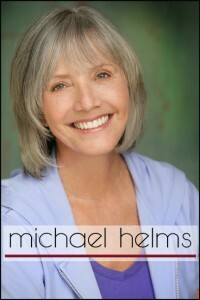 Michael Helms has been a successful photographer in Los Angeles for 35 years. 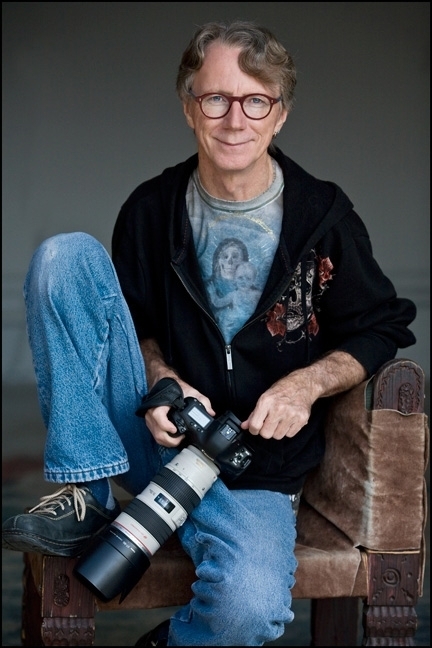 He has photographed some of Hollywood’s most notable celebrities, including Kate Hudson, Tim Curry and Angelina Jolie. From shooting documentaries on the orphanage of Katmandu, Nepal to photographing the cannibals of Papua, New Guinea, to hang gliding in the high Sierra, and even to the depths of the ocean taking photos of sea life in Bonaire. Michael’s work and range of experience are extensive. Kaz: You’re from the South, right? How did you end up here in Los Angeles? How did your photography business get started? Michael: Yes, I was born in North Carolina. After a failed attempt at being a Holy Rollin preacher, a hang glider instructor, and a professional fly tier, I decided to take photos of interesting people. I’d been taking photos since I was 15 years old and got a job here in LA working in the photo labs. Some of the people coming into the lab were frustrated with their photographers. One guy in particular owned a modeling agency so I photographed some of the models he represented to help him out. He liked my work, the models liked my work, and within a year I had a business, just by word of mouth. I think I shopped my portfolio for about two weeks then business was so good I didn’t have time for it any more. Kaz: Do you still shoot fashion? Michael: Yes, but that industry is suffering in these tough economic times. I also shoot actors head shots, corporate head shot, product shots, and even boudoir if my client’s budget is there. I firmly believe a photographer should be versatile and diversity is one of my strengths. But, I usually refer weddings, funerals, bar mitzvah’s and other kinds of event photography to someone else. Oh…and I won’t shoot childbirth. Michael: I have a weak stomach and can’t even say the word “placenta” with out gagging. Kaz: You were one of the first photographers in LA to do head shots in natural light, one of the first to shoot in color, and one of the first to go digital. You shot me 8 years ago and tried to convince me then to shoot a digital color head shot but my manager insisted color was just a short lived trend or gimmick!! Where do you think the head shot trend is going? Michael: Well…there’s a VERY large hand basket that seems to be headed for Hell. Seriously, I have made a career of leading, not following, trends. These days, everything is on line so a head shot has to stand out even more than it used to, so the three quarter length shots we used to see are dying out and closer cropped images are back. There is an unsettling trend where actors are having friends shoot snap shots of them and then using those “natural” images for their head shots. It’s sort of Reality TV comes to head shots. As I see it, that trend screams a lack of professionalism and is horribly self defeating. In order to be taken seriously, an actors first impression has to be a high priority and with the internet, there is even LESS time to make that first impression, so it had better be good. You wouldn’t think of letting a mechanic cook the food you eat, so if an actor needs a head shot, it is in his best interest and to go to a professional photographer. There are SO MANY people who are claiming to be photographers because they just bought a new point and shoot digital camera, but they don’t know an f stop from a bus stop. Basically if a photographer does ANYTHING else for a living and/or hasn’t been in this business for more than 5 years, then just walk away. Kaz: That’s so true…whenever I cast, I eliminate the “self shot” photos first. To those of us who are in casting, it is painfully obvious they don’t take their careers seriously. But, face it, acting is a business. If you want to promote and grow your business, you invest in it. A good professional head shot is a VITAL tool. Kaz: What do you think is your strength? What makes your photos different? You have such a high rate of return customers, why do you think this is true? Michael: Geeez….well just LOOK at me!? ha ha Seriously, I have ALWAYS put the interests of my clients first. If I do my best to shoot an image that will market my clients in a way that gets them called in for things they have a shot at booking, then I have done my job.That, it in turn will market me better. A photographer may shoot a creative and wonderfully artistic image that an actor LOVES, but if it doesn’t get that actor an audition OR gets him auditions for parts he isn’t RIGHT for, it is useless. Also, I have always found it more interesting to light people according to their facial structure and the character they are portraying. I light a dark brooding character man differently than a pretty young girl. Many photographers have a certain lighting set up and everyone gets lit that way. To me, that’s lazy, unprofessional, and artistically bankrupt. And honestly, I’d get bored if I ran an assembly line like that, I love what I do, so I’m having fun. Every person who walks through my doors has a different face, so they get lit in a unique way. Kaz: Is that the secret of longevity for a professional photographer? Michael: I am so fortunate because I love people and am in a business where I can make a difference in their lives and careers. I get a kick out of greasing the wheels of their fantasies. It’s fun to see a billboard, magazine, poster, movie, or TV show with one of my images on it but it’s more fun to know I’ve had a part in making THEIR dreams and aspirations come to fruition. Maybe the answer to your question is, no matter what career you choose, do what you love and love what you do. Kaz: But how do you get paid for doing what you love? That’s been the challenge for artists of all types. Michael: Market awareness is essential. Knowing the demographic you are targeting, what the needs of that demographic are, meeting those needs, and then strong customer service in addition. It’s such basic business practice… a great product at a competitive price coupled with good customer service. It’s as old as the hills but will always be an effective business model. If I was a painter and wanted to make a living and people were going nuts over paintings of boats, I would paint boats, even if I didn’t like boats. Artists need to be VERY aware that feeding their stomachs and feeding their souls are different. Again, if you are a painter who hates painting boats, you have to paint boats to make a living so you can paint what feeds your soul on your own time. Many artists see this as “selling out”. I’d call it being realistic and mature. Kaz: Any fun stories about actors in your studio? Michael: Oh dear… it’s a sitcom begging to be written. So many stories. A wonderful woman I was very dear friends with once asked me to photograph her daughter. When I did, I told her Mother that her daughter was going to make it big. Her Mother sighed and said, “I know!”. So I took the daughter’s photos to 4 of the top agents I knew at that time. All 4 agents turned her down for one reason or another. “Too gangly”, “her lips are too big”, “she’s too exotic”. Of course, turns out that was the daughter of Marcheline Bertrand and Jon Voight – Angelina Jolie. And of course, there are lots of stories my friends laugh and tell about me shooting rather well know actors, singers, or musicians, and not knowing who they are. I don’t really watch TV so I never know. I’ve been shooting Don Felder, who was in the Eagles (he wrote Hotel California) for ten years and never knew he was in a band. I only found out because an Eagles song came on my iPod while we were shooting recently and he asked me to turn it off! I asked him why and he said,”I got tired of playing it!”. He’s such a great guy and so humble, I’d probably still not know if that hadn’t come up. And of course, TONS of neurotic actor stories. Kaz: Some kind of new Method no doubt!! SO… let’s talk about Photoshop. Good or bad? Michael: What I always tell my clients is it is a BAD thing to NOT photoshop your images, it is a WORSE thing to OVER Photoshop them. The day you get your head shots done, you WILL get the only blemish you have had that decade. So – simply photoshop it out. My approach is if it is yours and permanent, then leave it in. If it is temporary, then photoshop it out. If your cat scratched you, you have a blemish, a cold sore, a little redness in you eye then remove it. If it is a mole, a scar, or a deep wrinkle then leave it in. Basically you REALLY must look like your photo when you walk in the audition room. Nothing irritates a casting director more, wastes his time more, and wastes YOUR time more than a photo that doesn’t look like you. It may be fabulous to put on your wall at home but NOT good for this business. I am also of the opinion that a photographer should offer this as part of his service. It’s another way to tell who is professional and who is not. Kaz: Well, this has all been enlightening and fun. What do you do when you are not shooting? Michael: I flew Hang gliders for 34 years and have my Master rating, but I started Scuba Diving about 5 years ago and have been having fun with that. I have my Master Rating in Scuba now and have been to Cozumel, Bonaire, and of course, Catalina Island locally. If I have a limited amount of time, I have a small carving studio where I do stone sculpture. I love shooting scenery, flowers, and I shoot nudes. Kaz: Wow, well with all that going on in your life, where do you go from here!?? Kaz: HA, well thank you for your time. I look forward to another 30 years of your work. Michael: Me too. Thank you!